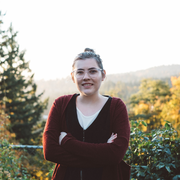 I am a 20 year old social work major at Portland State University. I have been babysitting since middle school and love working with all sorts of people. I have excellent creative problem solving skills, learn quickly, and will always leave your home cleaner than I find it. I have experience working with people with different abilities and barriers and look forward to meeting you!